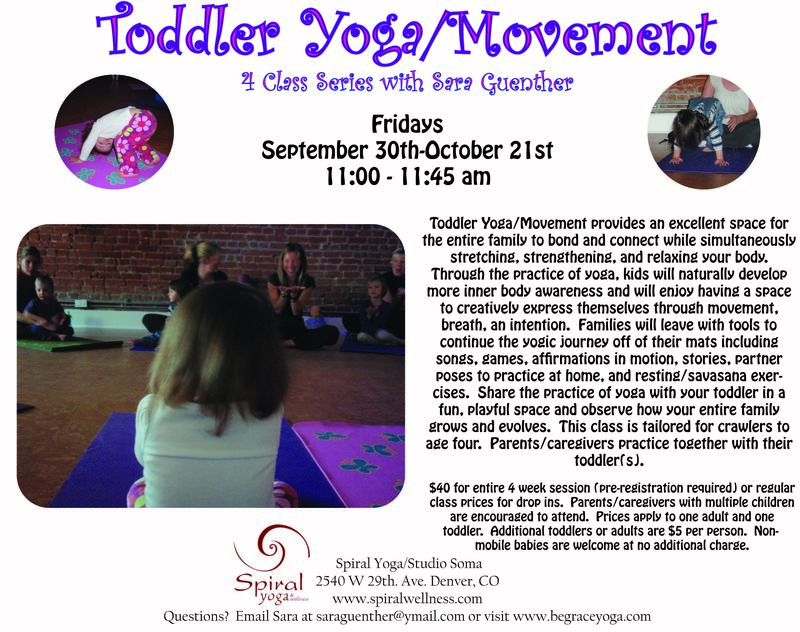 4 week Toddler Yoga/Movement session starts on Friday September 30th from 11:00-11:45 am at Spiral Yoga/Studio Soma. Please see the attached flyer for all of the deets or visit the class schedule/workshops page. Previous Post Free Yoga and 20% off Birthday Party Package!